The setting for this case study is a paleontological dig in East Africa, where “Sam,” an American undergraduate student, has unearthed part of what appears to be an ancestral human skull. Students read the case story and then, in the lab, they examine a number of primate skulls and are asked to make up a phylogeny based on their observations. 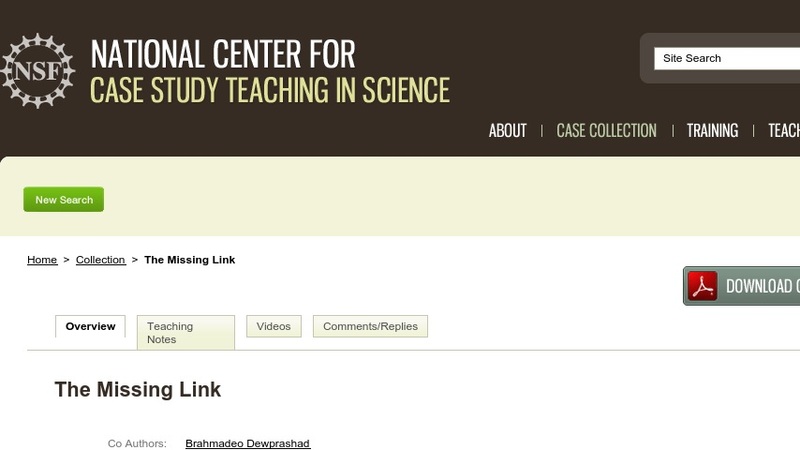 The is case study is designed for a lower division, general education laboratory course that accompanies a lecture course in physical (biological) anthropology.